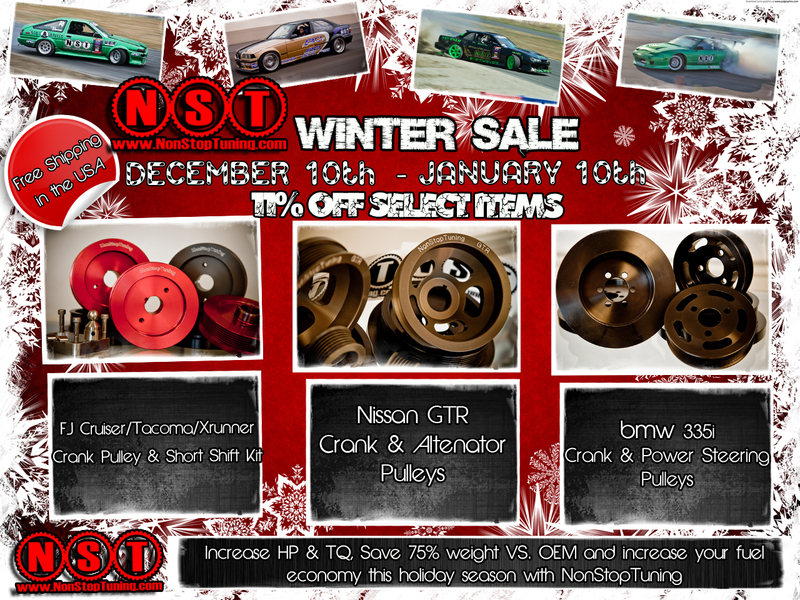 Posted on December 10, 2011, in NonStopTuning, NonStopTuning Media, NonStopTuning Products, NonStopTuning Services and tagged BMW Pulley, Hyundai Pulley, Nissan Pulley, NonStopTuning Pulley Kit, NST Pulley, NST Winter Sale, Toyota Pulley. Bookmark the permalink. 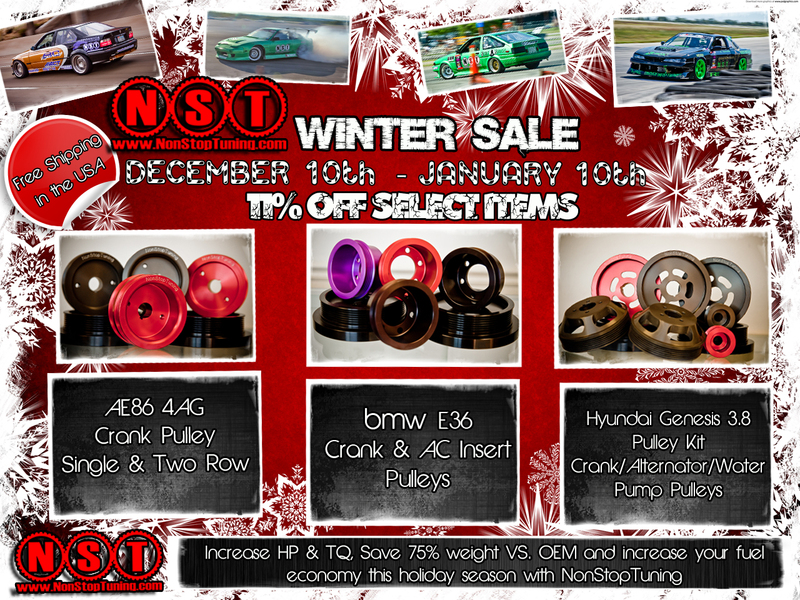 Comments Off on NonStopTuning 2011 Winter Sale. 11% OFF Select Items!.